Travelcard zone 2/3 Bedford Park was an early garden suburb developed from the 1870s. It has attractive houses in Queen Anne revival style along tree-lined streets. 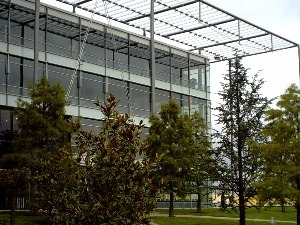 Chiswick Park has buildings by Richard Rogers set in a landscaped park with water features.